[I]n the early 1970s, the ink still wet on her bachelor of fine arts from Syracuse University in upstate New York, a young Rose Marasco roamed the streets of her native Utica, taking photos of things like storefronts and alleyways in both black-and-white and color. At the time, the latter was provocative. Four decades back, the world of fine-art photography was conservative bordering on stodgy: real photographers shot exclusively in black and white; color was considered vulgar. But Marasco, who retired last year from 35 years of teaching in the art department at the University of Southern Maine, has never lost sleep worrying about the conventions of the art establishment. To hear Portland Museum of Art chief curator Jessica May tell it, that iconoclasm has served her well. May is the curator behind Rose Marasco: index, a vast retrospective of “perhaps Maine’s most prolific living photographer,” which opened at PMA on April 24. Rose Marasco: index is PMA’s contribution to the Maine Photo Project, a loose but ambitious collaboration of more than 30 statewide museums, galleries, and other institutions, all dedicated to exhibiting works in 2015 that explore Maine’s rich photographic traditions. Marasco’s work makes a great starting point for that exploration, in part because of that lack of preciousness. Her deep catalog runs the gamut from deceptively simple street-level shots of urban pedestrians and architecture to meticulously arranged still lifes of found objects. What her images have in common is an exquisite sense of composition, a play of shapes and shades. It’s tough to ignore what May calls “the constructed nature of the images.” These are photos, in other words, that acknowledge their own photograph-iness, reminding us there’s a person behind the camera making subtle, clever choices about where things line up in relation to other things. Many of Marasco’s images are even more overtly manipulated, including experiments with projectors, collage, pinhole cameras, and arcane film development techniques. What her images have in common is an exquisite sense of composition, a play of shapes and shades. Marasco is also big on sets and systems. Her photos come in gaggles, series of themed images that inform one another, and many photos might feel estranged if not presented alongside their kin. Her black-and-white shots of Portland streets and alleys, for example, have recurring elements — shadows of branches that keep popping up, views semi-obstructed by fences or billboards. 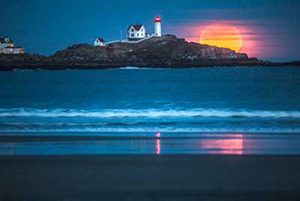 Marasco took these while acquainting herself with Portland in the early 1980s, after spotting a classified ad for part-time USM faculty during a camping trip in Freeport in 1979 (she wrote out her résumé by hand, drove to Gorham in her VW microbus, and dropped it off in person). 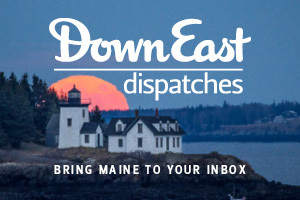 Other series include a set of stark portraits of rural Maine Grange halls, remnants of the mixed-gender farmers’ fraternal order that flourished in the late 19th century (the Ogunquit Museum of American Art will show this series in June — see details below). In the late 1990s and early 2000s, her Domestic Objects series juxtaposed household items like rolling pins, dishes, and clothespins with found foliage, produce, and natural landscapes. Both projects offer comment on historical perceptions of work and womanhood. Because so much of Marasco’s work is grouped into thematic sets, Rose Marasco: index is not only varied, but also vast. The show is made up of 51 titled works, but these consist of some 140 individual pieces (May says the museum built 40 feet of new wall just to accommodate them all). And while many of Marasco’s series are bound together by ambitious conceptual motifs, there is also a playfulness to her work. 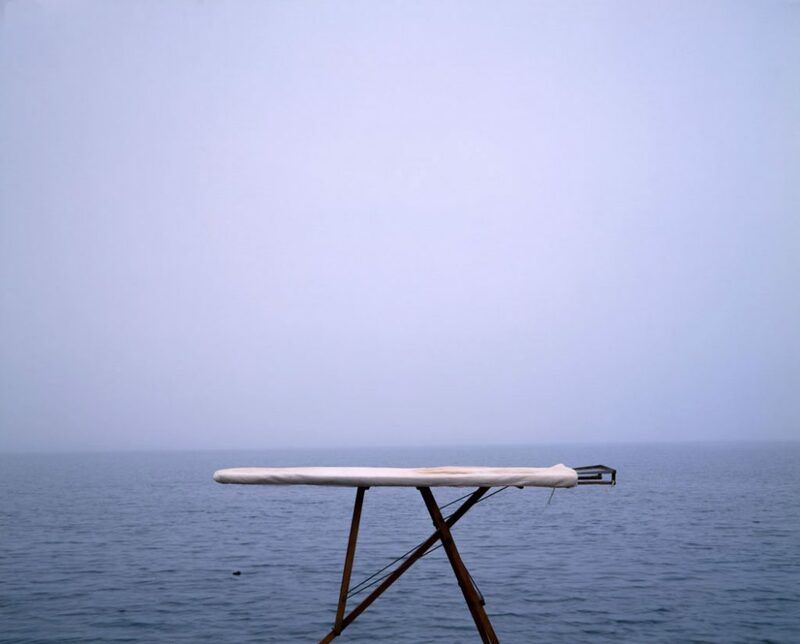 A photograph of an ironing board against a stark seascape makes a statement about the bleakness of “woman’s work” — but it is also undeniably droll. For Marasco, what’s more, the act of composing any one shot is rarely a cerebral process. It is largely intuitive, explains the photographer, this act of recognizing when her surroundings come together in a way that will make for a powerful image. 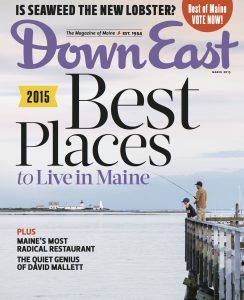 Get the best of Maine art and culture every month, with a subscription to Down East.  Or subscribe to our newsletters to get the best Maine travel, culture, and dining stories (and photos) each week.